This TOP #1 bee product is enriched with organic honey,royal jelly,propolis, and powerful natural antioxidants. Bee propolis and royal jelly formula preserve and restore proteins and enzymes for anti-aging action in the skin, as well as amino acid protein building blocks for younger looking skin. Honey has natural humectant properties. 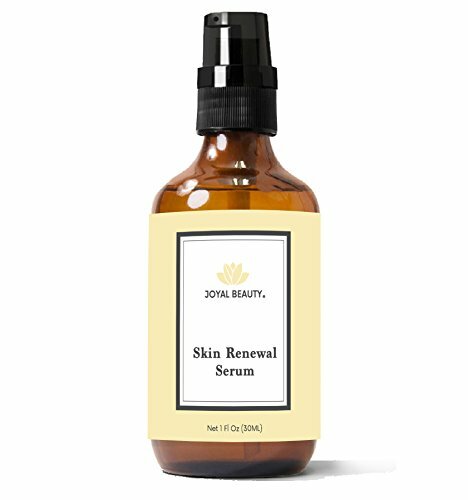 ✔ Best Skin Renewal Serum with Royal Jelly, Bee Propolis and Honey. Resurface and revive your glowing baby soft skin. ✔ Best Firming Serum to Improve Skin Elasticity and Appearance of Fine Lines and Wrinkles. Royal jelly contains natural vitamins and minerals that lead to increased collagen production. ✔ Super Soothing for All Skin Types including Combination, Oily, Sensitive and Acne Prone Skin. Also Great for rough skin, large pores, blackhead, whitehead, and lack of radiance. ✔ Non-greasy Non-comedogenic Formula which will not clog pores. Effective as a Softener for dry skin and the toning lotion for firming stretched or stressed skin. Best to be used under Joyal Beauty Ultra Facial Cream for oily and acne prone skin type. If you have any questions about this product by Joyal Beauty, contact us by completing and submitting the form below. If you are looking for a specif part number, please include it with your message.